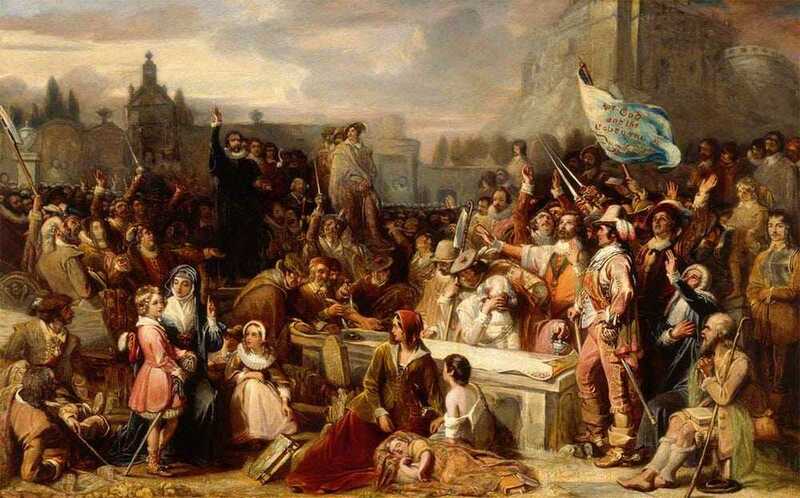 On 28th February 1638, the National Covenant is signed in Greyfriars Churchyard in Edinburgh. It rejected the attempt by King Charles I and William Laud, Archbishop of Canterbury, to bring the separate churches of England and Scotland closer together by forcing the Scottish church to conform to English liturgical practice and church governance. Copies of the document were sent to churches around the country, and soon, over 300,000 Scots had signed the National Covenant. This would lead to the Bishops’ Wars in 1639 and 1640, fought between Charles I and the Scottish Covenanters, the prelude to the English Civil Wars and the War of the Three Kingdoms.